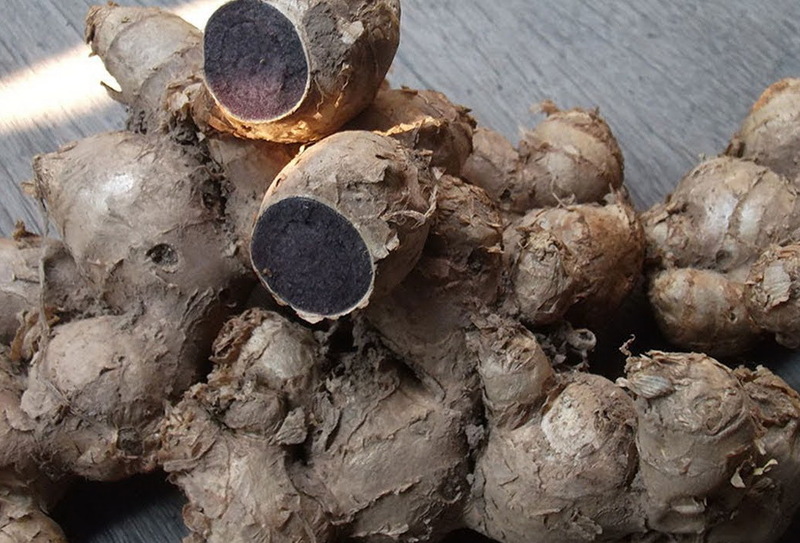 Black Ginger is known as a male libido enhancer and a prolific natural dietary health supplement for cardiovascular health and improved cognitive function that makes a tasty thirst quenching mild sedative tea. According to the researchers, various preparations of Kaempferia parviflora, a plant in the ginger family, have been shown to support cardiovascular health and potentially also improve erectile function. A 2012 study conducted in Thailand found that K. parviflora rhizome extract improved erectile response in older men. Kaempferia Parviflora (aka: Thai Ginseng) is a herb that has some historical and medicinal usage for treating metabolic ailments and improving vitality in Thailand and limited to surrounding regions. It is also reported to be an aphrodisiac compound and physical enhancer. That being said, the research on its aphrodisiac effects in mice indicate that low doses are weak to moderate in potency and higher doses fail to exert any aphrodisiac effect. It does not appear to increase testosterone in otherwise normal rats (although it may in castrated rats), and although it appears to have a variety of mechanisms to be pro-erectile, these have not been tested for potency in a living system. The mechanism of pro-erectility is fairly unique and interesting, but the one study to investigate whether or not it could inhibit PDE5 (one of the mechanisms of Viagra) failed to establish whether it was selective. Selective PDE5 inhibitors are good pro-erectiles without many side-effects, but the non-selectivity (currently not established) may lead to gastrointestinal side effects. At least one study has noted that it can increase functionality and cardiovascular performance in otherwise healthy persons over 60, but an acute study in youth failed to find any performance enhancing effects at 1.35g (recommended dose, or at least near it). Currently, Thai Ginseng seems to be weakly promising on pro-erectility with the other claims not really being better than other possible supplement choices. According to traditional usage of Kaempferia Parviflora, 0.5-1 teaspoon of ground power is made into a tea and drank about 1-2 hours before physical performance. This is similar to the recommended daily dose from the Thai traditional medicine institute of 1.2g daily, and the one human study on the matter (failing to note benefit acutely) used 1.35g. General health protective effects have been noted at lower doses, although not enough evidence exists to suggest an optimal dose. It is well known that intense and prolonged stress can produce hippocampal neuronal damage and cognitive impairments, few studies have investigated possible ways to prevent its deleterious effects. Here, we investigated the neuroprotective effects of a Thai traditional herb, Kaempferia Parviflora (KP) extract, commonly known as Kra-Chai-Dum, on learning and memory loss and the induction of neurodegeneration in the hippocampus by chronic stress. Rats were orally administered KP extract (100, 200 and 300 mg kg-1) or vehicle over a period of 21 days while being exposed to chronic restraint stress (6 h day-1). Investigated learning and memory using Morris water maze test after 7, 14 and 21 days of treatment and then the rats were sacrificed for determining the densities of survival and cholinergic neurons in the all regions of hippocampus. Treatment with KP extract at a dose of 200 mg kg-1 blocked the ability of chronic stress to impair spatial learning and memory retention and enhanced both neuron densities as mention earlier, in all areas of the hippocampus.